Whether in a private enterprise or in government-owned companies, world-class customer experience is a key business driver. Based on a study In November 2015 by The Chartered Institute of Management Accountants (CIMA), reported on the top most important determinants of value for businesses operating in this digital age. 4 of these determinants are customer satisfaction, customer relationships, quality of business processes, and quality of the human capital. The digital age has redefined customer perception. To adapt to the change, today’s organizations must develop new ways and systems to improve its relationships with the customer. In particular, enterprises must possess in-depth knowledge of technology and analytics as well as broader leadership and business partnering skills. The Walker Inc’s Customers 2020: A Progress Report has identified that Customer experience has overtaken price and product as the key brand differentiator. Faced with the double challenge of the ever-changing technology and more demanding customers, organizations must relentlessly focus on making their customer experience easy, personal, seamless, and enjoyable. Organizations must eliminate information and operation silos by opening up communications throughout the company so as to offer the best quality experience at every stage in the customer lifecycle. Consequently, the systems and teams deployed in the organization must ensure that the customer experience offered by all its customer-facing and non-customer-facing departments is just as smooth and pleasant as that offered by the sales or customer service. The ability to integrate various systems such as ERP, CRM, and CPM can optimize the visibility into all actions that impact the customer experience across the enterprise. An example of such applications is our own ERP project for PDAM, a government-operated regional water company, which is a solution consisting of an ERP and a mobile app for the field officer. This seamlessly integrates the various business processes in the organization including enabling the company to work faster & more efficient. Their field officers can handle collection, survey, complaint handling and more. While the ERP’s billing system, accounting, warehousing among others are seamlessly updated. Data is a valuable asset that can be a source of competitive advantage. It can be used to develop genuine customer insight which can drive business growth through personalized service. Increasingly, customers are valuing the one-to-one relationship more than a blanket approach. Personalized interactions can be achieved by deploying a unified system which brings together your data and gives everybody in the organization a single view of the customer. WGS has extensive experience building customized ERP systems which put together our clients’ data so that every department in the organization has a single source of truth for the customer data. One such implementation was done for Golden Lite Trading for their business intelligent decision-making solution. This is an application that integrates data & operations of distribution, finance and supply chain management modules in one comprehensive system. All internal departments in an enterprise must work with sales, marketing, business development, and Information Technology teams to use advanced analytics and extensive customer data to identify what customers need before they even need it. With such information, enterprises are able to craft personalized “Next Best Offers” for their customers. Moreover, such collaborations will also help the organization to understand what customers believe you are excelling in and why, and the areas that require improvement. The citizens of a country or residents in a given region are the biggest stakeholders in the affairs of the respective country or region. 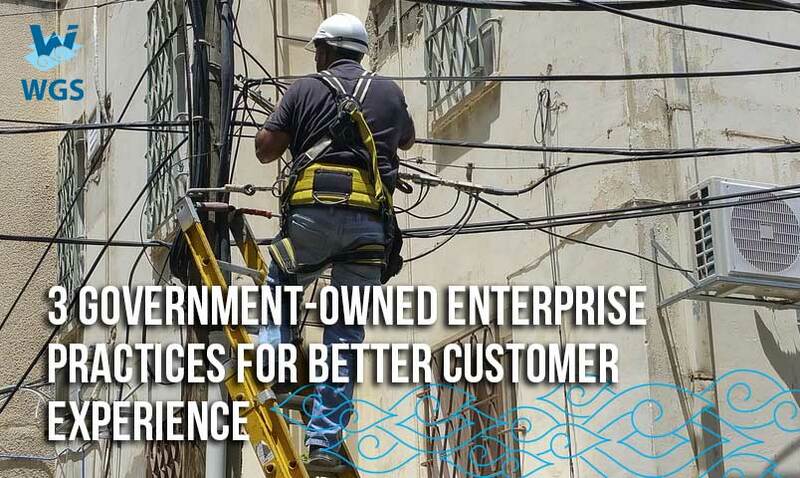 Consequently, when dealing with government-owned enterprises in these jurisdictions, they deserve similar standards of customer experience they receive from private businesses. In order to provide world-class customer experiences to the citizens, public enterprises must borrow from private organizations and build lasting relationships between departments. Individual departments must go beyond their walls and develop superior soft skills and effective collaborations in helping the enterprise to implement a successful customer experience strategy. However, building robust systems for government enterprises that operate in multiple regions possesses a unique challenge, that includes developing systems which cater for the autonomy of regional governments with standardized reporting to the national government. In such circumstances, it is advisable to build a multi-tenant app, whereby the ERP system is configured to accommodate the unique rules and regulations of each regional government. Our expert team is always ready to partner with you in creating lasting connections between you and your customers. For further details on how you can achieve this, please contact our team here for more details.